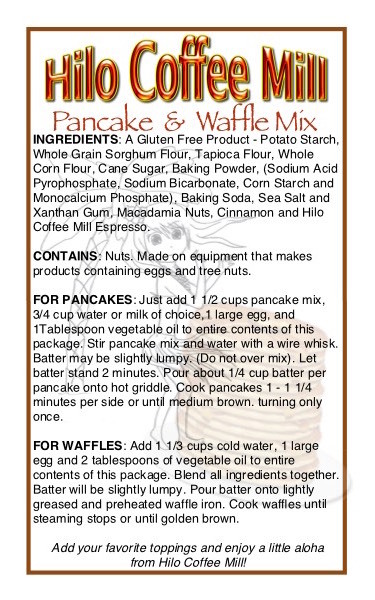 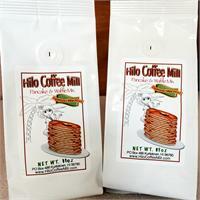 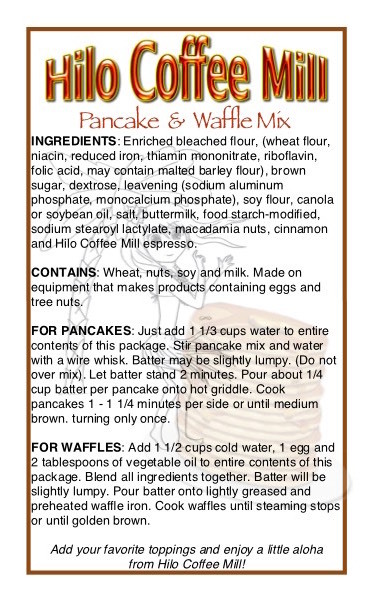 You won't want to pass up this special pancake and waffle mix, made right here at the mill using our own secret recipe. 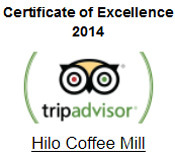 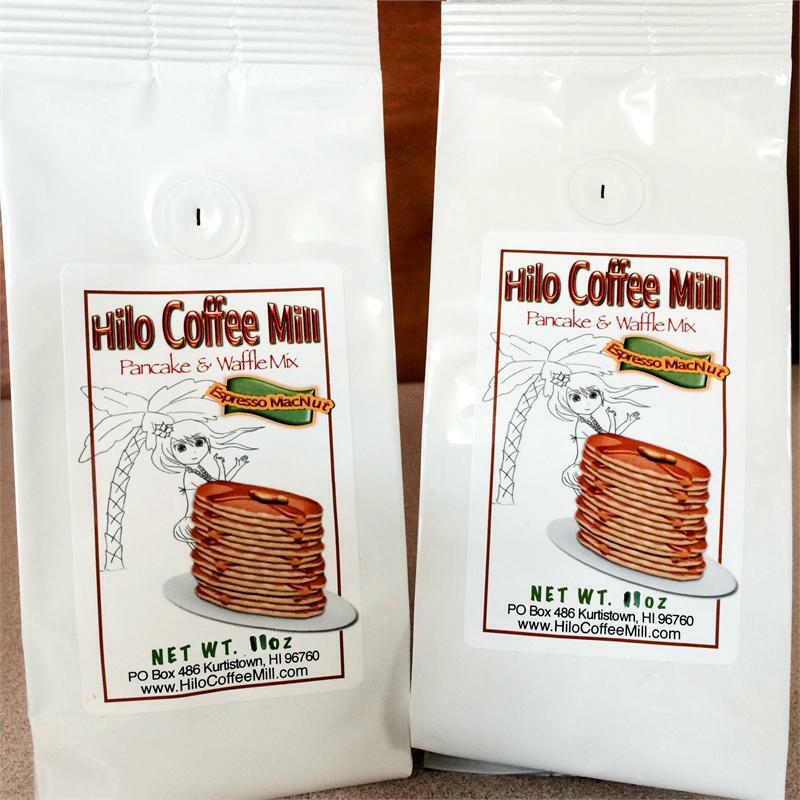 It has Hawaiian macadamia nuts and Hilo Coffee Mill espresso right in the mix, along with a few other surprise ingredients. 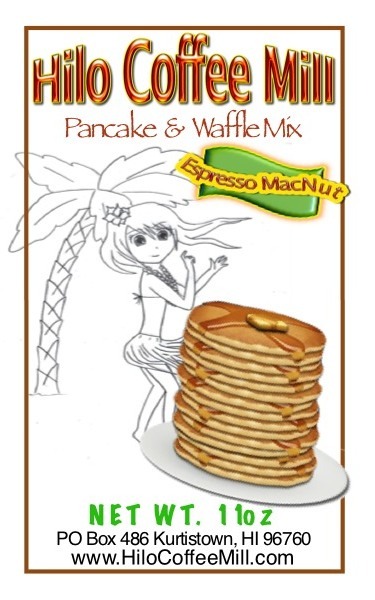 Eat them naked or enjoy them with your favorite toppings.